On the 101st day of the hunger strike of the Kremlin prisoner Volodymyr Balukh activists initiated a global campaign to support him, according to the Facebook page of the Save Oleg Sentsov community. Activists call for writing letters to the Prosecutor General's Office of Russia, the Federal Penitentiary Service and the office of the Russian Ombudsperson.To do this, one can print the prepared template letter, sign it and send it to the addressees. Activists also propose to duplicate letters and send them by e-mail as well. The organizers of the action note that in every case of a political prisoner concrete executors hide behind the "collective Putin", who influence on many important things, like how the prison administration will treat the prisoner, whether he will be visited in time by the doctor, whether he will be subject to disciplinary sanctions for the slightest violations of the regime. "We call these people by their names and appeal to them personally," the activists said in a statement. Earlier, the public defender of the prisoner of the Kremlin, Archbishop of Simferopol and Crimea UOC-KP Kliment said that on the face of Volodymyr Balukh has no living place and he looks like skin and bones. Kliment noted that despite this the prisoner of the Kremlin refuses to stop the hunger strike. Earlier, the Ukrainian Foreign Ministry noted a significant deterioration in the health of Volodymyr Balukh. 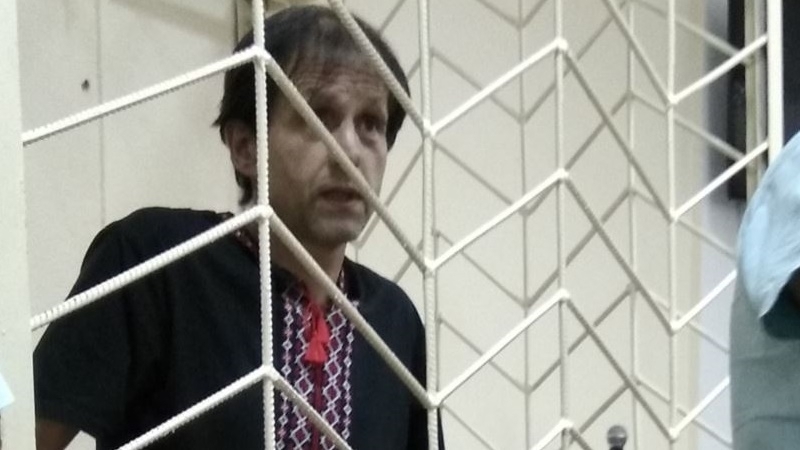 The lawyer of the prisoner of the Kremlin, Olga Dinze, said that the health of the Ukrainian activist on hunger strike has worsened. According to Dinze, Balukh had a pinched nerve. The lawyer said that the activist was transferred to a new cell.